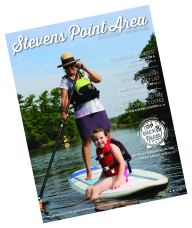 There is always plenty to see and do in the Stevens Point area during the summer. (If you need proof, just check out our event calendar.) Here are three events we think you should add to your calendar when you’re exploring the center of Wisconsin this summer. MREA Energy Fair, June 19-21. Did you know that the Stevens Point area is home to the nation’s longest-running energy education event? The Midwest Renewable Energy Association (MREA), located in Custer, is hosting the 26th annual MREA Energy Fair from June 19-21. Attendees will find seminars and workshops on renewable energy, energy efficiency and sustainable living education. Plus, there are food and chef demonstrations, live entertainment and much more. Riverfront Rendezvous, July 3-5. Looking for some Independence Day entertainment in the center of Wisconsin? Come on out for Stevens Point’s annual Riverfront Rendezvous at Pfiffner Pioneer Park and enjoy live music, kids’ entertainment, fishing contests and much more. Bluegrass in the Pines, August 27-29. Head out to Rosholt for the sixth annual Bluegrass in the Pines music festival at Rosholt Fair Park. 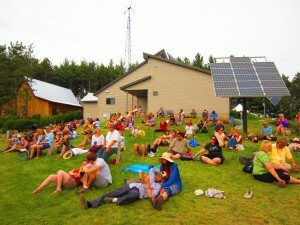 You’ll find music workshops, camping, tasty food and beverages, and—of course—lots of music. This year’s lineup includes Art Stevens & Highwater, Audie Blaylock & red Line, Tommy Brown & Country Line Grass and many more. Click here to learn more.